Indoor air quality is a leading concern among people who are looking into hiring an air duct cleaning service. As much as 40 pounds of dust can be created in an average home each year. 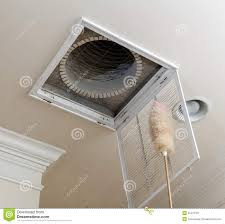 This dust circulating through the furnace and ductwork will accumulate on the motor and other moving parts, adversely affecting mechanical function and efficiency as well as indoor air quality. Other indoor air contaminants like pet dander and other chemicals can enter the HVAC system circulate throughout the home several times a day. Eventually, this re-circulation results in a build-up of debris in the ductwork. Service by a professional heat duct cleaning technician is the best way to eliminate this problem. One leading reason for concern is that dirty ductwork can contribute to health issues and trigger symptoms for people with asthma, allergies or health conditions that result in a compromised immune system. Proper duct cleaning service and HVAC maintenance will maximize system performance and efficiency while ensuring healthy indoor air quality. Green and Clean Air Solutions is a licensed air duct cleaning company servicing all of Sonoma County and the surrounding community. We use state of the art equipment with environmentally safe heat duct cleaning procedure to ensure quality and customer satisfaction. We will send our own highly trained contractors to perform a complete heat duct cleaning eliminate any contaminants that can threaten indoor air quality in the home or workplace. Call us at 707-296-7022 to schedule an appointment for an inspection and evaluation today!